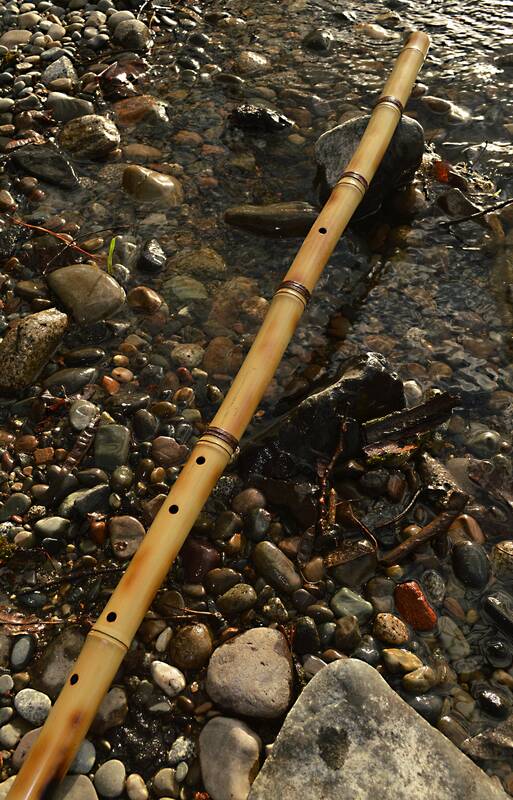 Forest Flutes by Thomas Richardson Music - experience meditation through sound. Kung Fu Television series inspired 3 foot bamboo flute design by Thomas Richardson Music. You've seen Tarantino's "Kill Bill" with David Carradine playing the role of "Bill" and the long bamboo flute he plays in Kill Bill. You have seen the smaller bamboo flute in the Kung Fu TV series. You may have seen the flute Carradine designed for Bruce Lee's "The Silent Flute" in all cases you were inspired by the vision of these flutes. I am inspired by the flutes David Carradine built during his life and and have been for many years now. I am one of the first to replicate David's designs and have been selling this model for almost a decade. My Kung Fu, Zen and Shaolin flutes are inspired by Kung Fu and watching the show with my family in the 70's. I was fascinated by the sounds of the bamboo flute. It was much later in life that I began to play bamboo flute and even later in life when I began to build flutes. 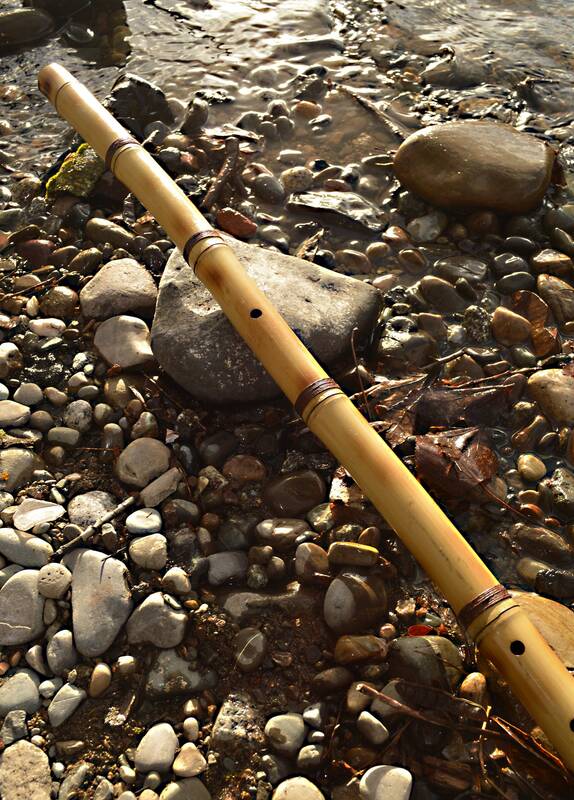 The length and sound of this particular bamboo flute is inspired by the flutes of the ancient Shaolin Kung Fu masters. Built from cured Chinese bamboo. All holes are burnt via burning rods. Usually keys out to F or F#. Plays both the major and minor Pentatonic scale. There is a pole chamber length or 2 above the breath hole that adds length and should be rested on your left shoulder when playing. I color the bore in cherry red. Brown hemp bindings. 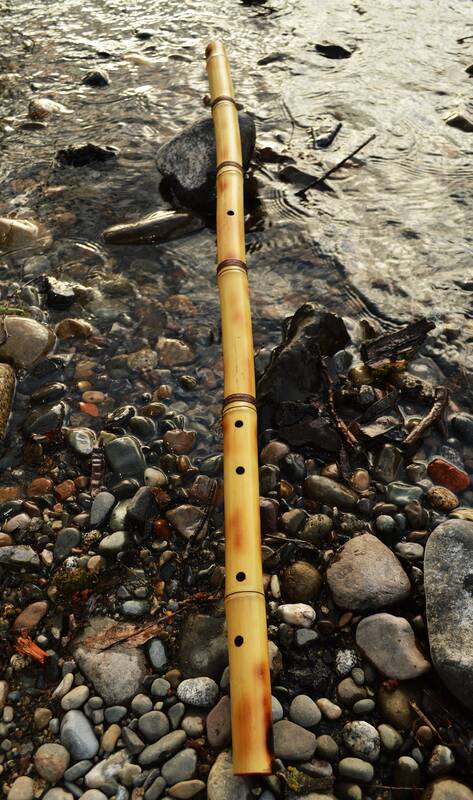 The flute body is colored via burning with fire. All holes are burnt via burning rods. A440 tuning. 4 holes on the front and a thumb hole on the back like the Shakuhachi flute. 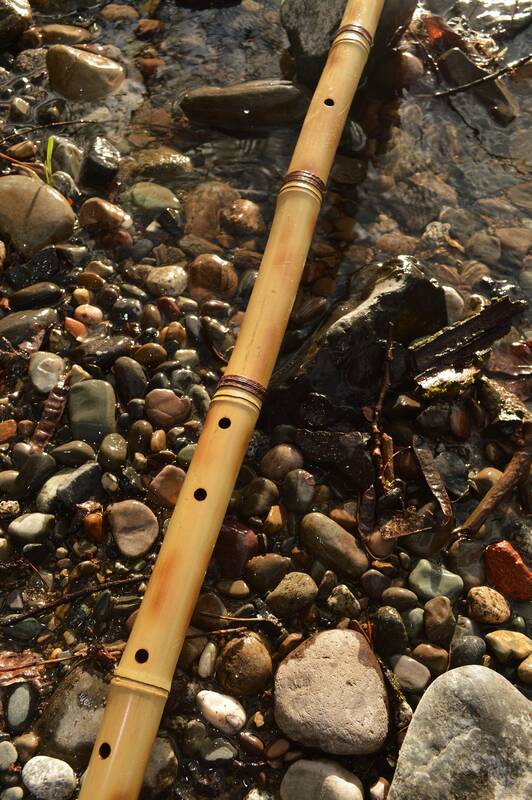 This is a wonderful deep healing sounding flute and definitely has a sound for meditation practice and for Kung Fu practices and study. All major credit cards processed through Etsy, Paypal, Personal Check or Money order accepted. All flutes are shipped via United States Postal Service and shipped USPS Priority in the USA and USPS First Class International to all other Countries. All Sales are final. If a flute is damaged in shipping I will rebuild and re-ship at my expense.